A small woodcut from the series of The Passion Woodcut Bottom left in the printing block monogram 12.8 x 9.7 cm. 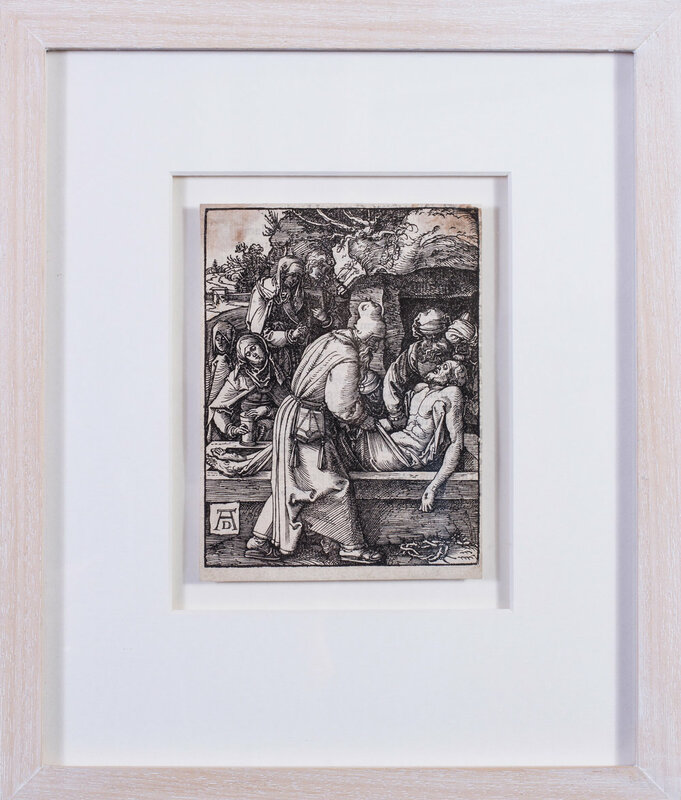 Bartsch 44; Meder 153 II (vonV.latanische textausgabe von 1511); Schoch / Mende / Scherbaum 214 Very nice, deep black ink, a uniform and clear print on three sides with a small border cut around the print edge, the lower edge slightly larger at around 0.5cm. The upper corners slightly browned. On the reverse inscribed with brown ink, the annotations are faintly visible. Overall in good condition. In a white floated mount, in a limed wood frame with museum glass.